The chores you don’t do every week, nor can ignore forever. 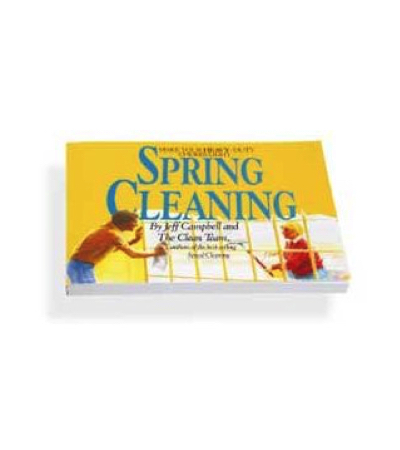 This book tackles the tough jobs: washing windows, walls and ceilings, sealing and waxing floors, cleaning carpets and lots more, like a pro. 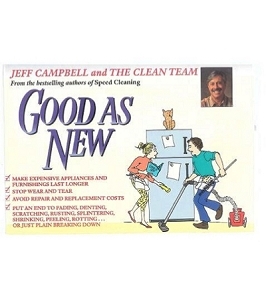 The single most important subject of this book is how to do a good job while finishing it quickly so you can move on to more pleasant pastimes. 191 pages. 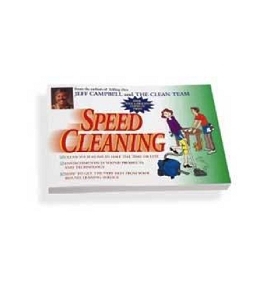 Now get your online college degree in Speed Cleaning - Jeff Campbell's Best selling series now available as e-books! 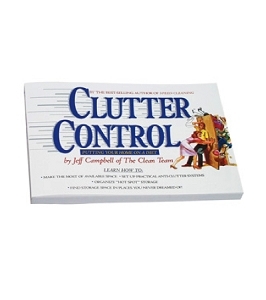 E-books are a great addition to any book collection - without the clutter...or shipping expense. 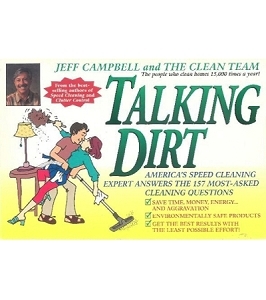 After so many enthusiastic requests we are happy to exclusively offer Jeff's best selling, out of print best sellers 'Talking Dirt' and 'Good As New' along with 'Speed Cleaning' , 'Clutter Control' and 'Spring Cleaning' to a new generation of readers as e-books! 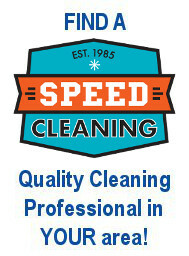 Busy lives need solutions to everyday roadblocks that prevent a household from running smoothly. 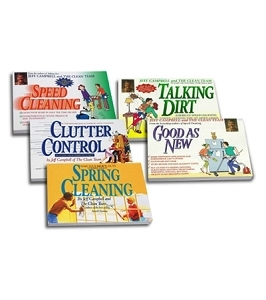 Whether it's how to get the cleaning finished before it's time to start cleaning again, how to organize the kitchen, how to care for a leather couch, how to get husbands and children to help, or how to wash a few windows without working up a sweat-or your blood pressure, these books have the answers. No nonsense, time-tested techniques, yet entertaining and engaging. These best-sellers provide modern solutions to age-old problems. The eBooks are sent as a link attached to your "order confirmation email" once your payment is processed. Link will expire in 7 days - no refunds will be processed once the link has been sent. Thank you. 8 PERCS will be rewarded to you when you buy this item.